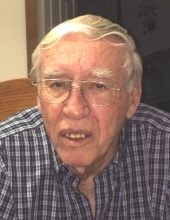 ALLIE, Ronald Roy - age 78, of Linden, died Sunday, March 31, 2019. Funeral services will be held 12 PM Thursday, April 4, 2019 at Sharp Funeral Homes, Linden Chapel, 209 E. Broad St., Linden. Interment will follow at Great Lakes National Cemetery, 4200 Belford Rd., Holly. Visitation will be held 2-9 PM Wednesday and 10 AM - 12 PM Thursday at the funeral home. Ron was born October 14, 1940 in Linden, the son of William Joseph and Minnie Elisabeth (Palmer) Allie. He was a veteran of the U.S. Air Force. Ron was a jeweler for over 40 years. He had owned and operated both, The Diamond Cellar and Linden Awards for many years. Ron was a member of the Linden Sportsman Club. He married Carol May (Bannerman) Harter on June 21, 1984. Surviving are: wife, Carol Allie; children, Ronald (Beth) Allie of Indiana, Edward (Jamie) Harter of Howell, and Julie (Tim) Horner of Linden; grandchildren, Faith Allie, Nathan Allie, Dayna (Mike) Ratliff, Phillip Worvie, Ben (Julie) Harter, Matthew (Liz) Harter, Shannon (Shaun) Stehle, Alicia (Billy) Hoffman, Douglas (Tianna) Stehle, Darren Stehle, Jordynn Horner, Tyler (Amber) Horner, and Phylicia (Dennis) Powers; many great-grandchildren; brother, Russ Allie; nephews, Russ (Lynn) Allie, Jr., Brad (Colleen) Stephenson, and many other nieces and nephews. He was preceded in death by: his daughter, Tamela Worvie; brother, Bill Allie; and sister, Mary Stephenson. Tributes may be shared at www.sharpfuneralhomes.com. To send flowers or a remembrance gift to the family of Ronald Roy Allie, please visit our Tribute Store. "Email Address" would like to share the life celebration of Ronald Roy Allie. Click on the "link" to go to share a favorite memory or leave a condolence message for the family.